Brown, R. (2018). Using Laptop Technology To Improve Mathematical Achievement Rates: A Quasi-Experimental Study. 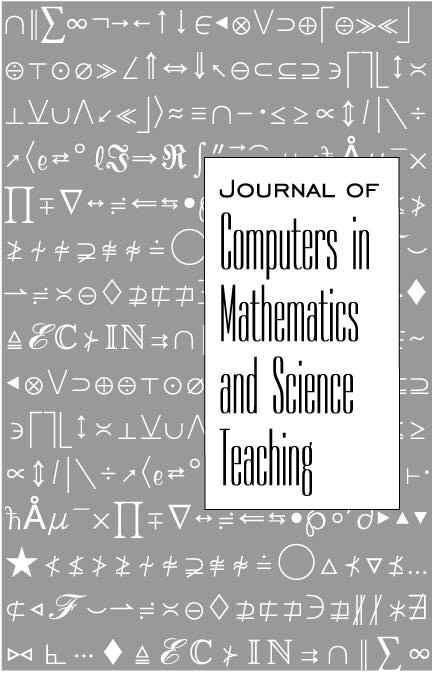 Journal of Computers in Mathematics and Science Teaching, 37 (3), 217-238. Waynesville, NC USA: Association for the Advancement of Computing in Education (AACE). Retrieved April 23, 2019 from https://www.learntechlib.org/primary/p/178474/. Aud, S., Hussar, W., Kena, G., Bianco, K., Frohlich, L., Kemp, J., & Tahan, K. (2011). The condition of education 2011. NCES 2011-033. National Center for Education Statistics. Barshay, J. (2013, December). Top US students fare poorly in international PISA test scores, Shanghai tops the world, Finland slips. The Hechinger Report,, 12-14. Bebell, D. & O’Dwyer, L. M. (2010). Educational Outcomes and Research from 1:1 Computing Settings. Journal of Technology, Learning, and Assessment, 9(1), n1. Borg, J. R., Borg, M. O., & Stranahan, H. A. (2012). Closing the achievement gap between high-poverty schools and low-poverty schools. Research in Business and Economics Journal, 5, 1. Broussard, J., Hebert, D., Welch, B., & VanMetre, S. (2014). Teaching Today for Tomorrow: A Case Study of One High School’s 1:1 Computer Adoption. Delta Kappa Gamma Bulletin, 80(4), 37-45. S. (2012). What Can We Learn about the US Education System from International Comparisons?. Darling-Hammond, L., Zielezinski, M. B., & Goldman, S. (2014). Using Technology to Support At-Risk Students’ Learning. Alliance for Excellent Education. Washington, DC. Devlin, T., Feldhaus, C., & Bentrem, K. (2013). The Evolving Classroom: A Study of Traditional and Technology-Based Instruction in a STEM Classroom. Journal Of Technology Education, 25(1), 34-54. Gates, B. (2005, February). National Education Summit on High Schools. Speech presented at the National Education Summit, Washington, DC. Georgia Department of Education (2012). SLO operations manual student learning objectives. Atlanta, GA.
Georgia Department of Education (2012). Student learning objectives as measures of educator effectiveness. Atlanta, GA.
Kennedy, M. (2013). Today’s learning spaces. American School & University, 85(7), 30. Kuenzi, J. J. (2008). Science, technology, engineering, and mathematics (STEM) Education: Background, federal policy, and legislative action: RL33434. Congressional Research Service: Report, 1-31. Lawless, K., & Pellegrino, J. (2007, December). Professional development in integrating technology into teaching and learning: Knowns, unknowns, and ways to pursue better questions and answers. Review of Educational Research, 77(4), 575-614. Moses, R. P., & Cobb, C. E. (2001). Radical equations: Civil rights from Mississippi to the algebra project . Boston, Massachusetts: Beacon Press. National Center for Education Statistics. (2015). National assessment of educational progress (NAEP). U. S. Department of Education. Washington, D.C.
Organisation for Economic Cooperation and Development. (2015). New approach needed to deliver on technology’s potential in schools. OECD. Paris, France. Organisation for Economic Cooperation and Development. (2015). PISA 2012 results. OECD. Paris, France. Rich, M. (2015, October 28). Nationwide Test Shows Dip in Students’ Math Abilities.. The New York Times, P. A12. Robinson, K. (2010, Might ). Bring on the learning revolution [Video file]. Retrieved from http://Robinson, K. (2010). Bring on the learning revolution. Salkind, N. J. (2012). Exploring Research [University of Phoenix Custom Edition eBook]. Boston, MA: Pearson Education. Retrieved from University of Phoenix, website. Silvernail, D. L., Pinkham, C., Wintle, S., Walker, L., & Bartlett, C. (2011). A middle school one-to-one laptop program: The Maine experience. Maine Learning Technology Initiative. U of S. Maine. Tamim, R. M., Bernard, R. M., Borokhovski, E., Abrami, P. C., & Schmid, R. F. (2011). What forty years of research says about the impact of technology on learning a second-order meta-analysis and validation study. Review of Educational Research, 81(1), 4-28. U.S. Department of Education (2011). Winning the education future. U.S. Department of Education. Washington, D.C.